Fit Rovers course 11 received their half way results last week, as they reached four weeks on the health and wellbeing programme. Combined, they have shed a total of 33kg of weight, which is one of the best starts for a Fit Rovers course so far. They also lost 68cm from their combined waist circumference and drastically improved their mental wellbeing and physical activity. Course facilitator Nick Gillott commented: “It’s another fantastic achievement from another amazing group of men and it never fails to astound me how motivated they are to persuing their targets. The course were welcomed onto the programme by Doncaster Rovers winger Matty Blair, and he will be overseeing their results as they progress in his role as the Fit Rovers ambassador for 2018/19. He will be spending time with the Fit Rovers team over the coming weeks assessing their food diaries and physical activities to help them improve even more. 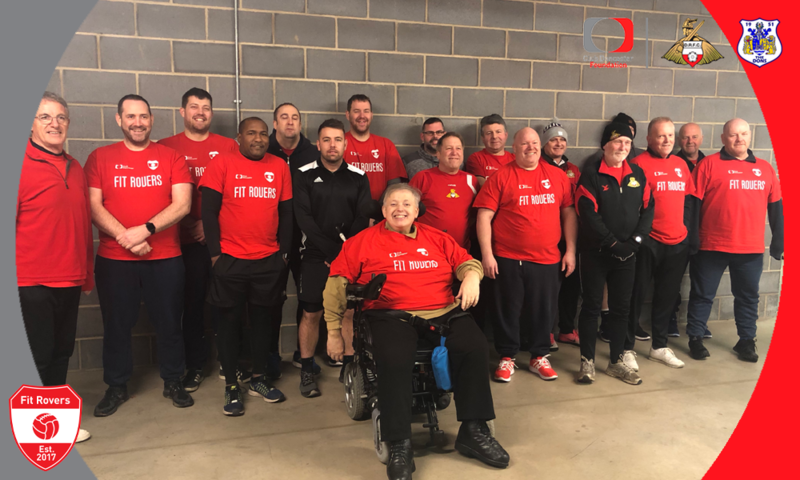 For more information on how to book onto the next free Fit Rovers course starting in March, contact the team on 01302 764663 / fitrovers@clubdoncasterfoundation.co.uk.